Looking for a cloud storage solution that will save your videos and photos for over 100 years? Check out this new startup service called Forever.com. I was at an arts festival in Pittsburgh a few weeks ago and someone handed me a pamphlet for a new local startup: FOREVER. Forever.com, the rep explained, is a service that lets you safely store your treasured photos, videos and documents in the cloud… forever. Forever, as in, your lifetime plus 100 years. And unlike Dropbox or SugarSync, you don’t pay a monthly fee. You pay once and your stuff is guaranteed a permanent space in the cloud. Forever.com also offers a media conversion service, where you mail in VHS tapes, photos, hardcopy documents and other media and they’ll load it up on your cloud account. Right now, FOREVER is currently available by private invitation only. When you go to Forever.com, all you get is a box to plug in your email address. But if you want the scoop on this service, I’ll tell you. Read on. 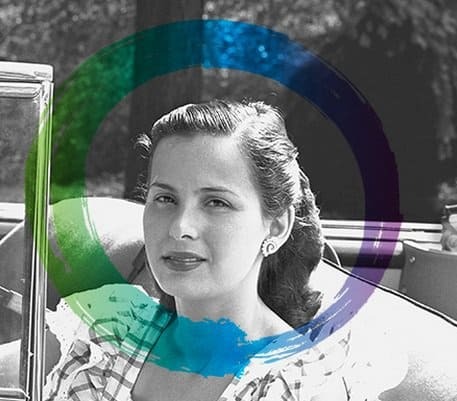 Cloud storage isn’t anything new, nor is media conversion. You can take a VHS tape to CVS or Walgreens and get it back on a DVD for $30 tonight, put it on your computer and then upload it to Google Drive or Dropbox. But FOREVER aims to combine these two services to appeal to those who want a more hands off approach to safeguarding their photos, videos and documents. Permanent Cloud Storage: Instead of paying month-to-month to store your data in the cloud, FOREVER is letting you buy storage for life (+100 years) for $100 per GB. When I got the pamphlet, they were running a promotion that would get you 4x the storage for the same price (e.g. 4 GB for $100, 20 GB for $500). Media Conversion and Production Services: For some folks, digitizing photos and videos is the hard part of getting started with cloud storage. FOREVER lets you send in a box with all your stuff, and they’ll scan, convert and organize it for you. You can even come in and work with your archivist one-on-one (if you live in the Pittsburgh area). Media conversion services come at an additional, unspecified fee in addition to your permanent cloud storage payment. Web and mobile app access to your data: After establishing your account, you can access your files via FOREVER’s website or mobile app. The pamphlet I received also itemized prices for a permanent membership and a subdomain (both at $100 each). I’m not sure if your membership comes with an initial 1 GB of storage, or if the subdomain is a requirement. Depending on the answers to those questions, you’re looking at a minimum investment of $300 to get started. In terms of security and privacy, FOREVER promises not to sell off your information to third parties or mine your account for valuable meta data. I asked the rep where the data was physically being stored, and they said they store it using Amazon S3 and Rackspace. That makes it about equal to SugarSync and Dropbox in terms of data encryption. My friend, a twenty-something lawyer, pinball enthusiast and relatively tech-savvy individual, also talked to a rep at the festival. And five minutes into their conversation, the rep admitted that FOREVER isn’t really for people like him. FOREVER won’t be very valuable to a person who wouldn’t have any trouble ripping a DVD, scanning some photos and devising a solid, redundant backup plan on their own. It doesn’t take much arithmetic to figure out that you can roll your own cloud backup service for much cheaper. Right now, I have 21 GB of free Dropbox storage, a Synology DiskStation DS212j with two 2 TB hard drives in a RAID 1 configuration and a fireproof safe, and that makes me feel pretty comfortable with my 20,000+ music, video and photo files. Based on all that, FOREVER seems more geared towards those who don’t feel as confident about safeguarding their digital files. The type of person who loses tons of data each time they move apartments or get a new computer. And in that regard, FOREVER seems to be offering a lot of peace of mind. 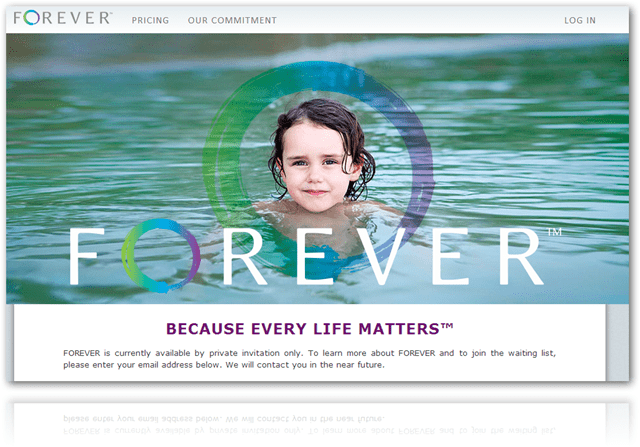 In addition to the lifetime +100 year guarantee, FOREVER is also marketing their THE FOREVER GUARANTEE FUND. That is, they are investing proceeds from storage purchases into a fund that is restricted to supporting the storage and administration of your data and the future costs of “digital migration” as new technologies come online. That’s meant to assure you that the CEO isn’t going to pocket your cash, fold the company and let the rats eat the servers that store the only surviving copy of your baby photos. Still, I wish I knew more about their exit strategy in case this business model doesn’t take off. Promising to store a file for 100 years is one thing. Promising to remain a solvent, profitable business for 100 years is a little bold. If you sign up for FOREVER, I suggest asking what would happen if FOREVER doesn’t exist as a company forever. Also, as we always suggest, keep your data backed up in two or more locations in case disaster strikes. Would you sign up for FOREVER? Let us know your thoughts in the comments.